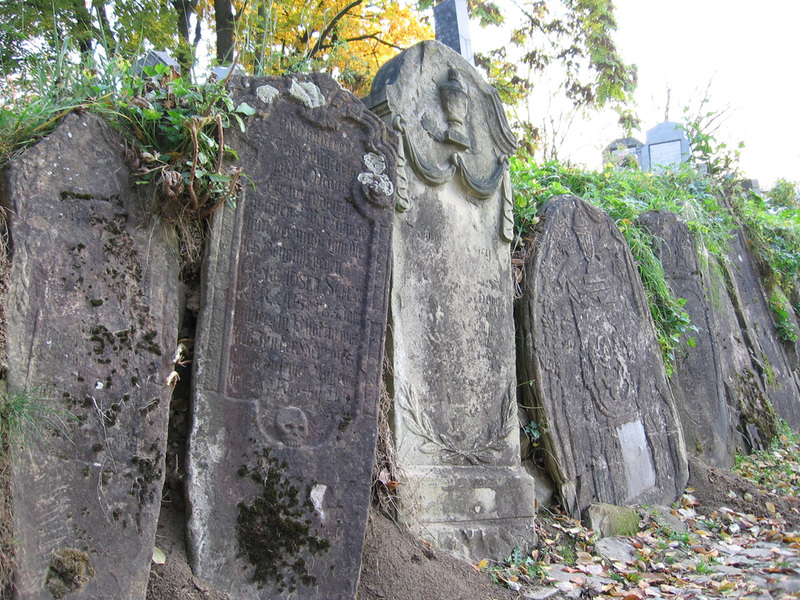 Here are some more cemetery pics from my first big trip across Transylvania, in October 2005. 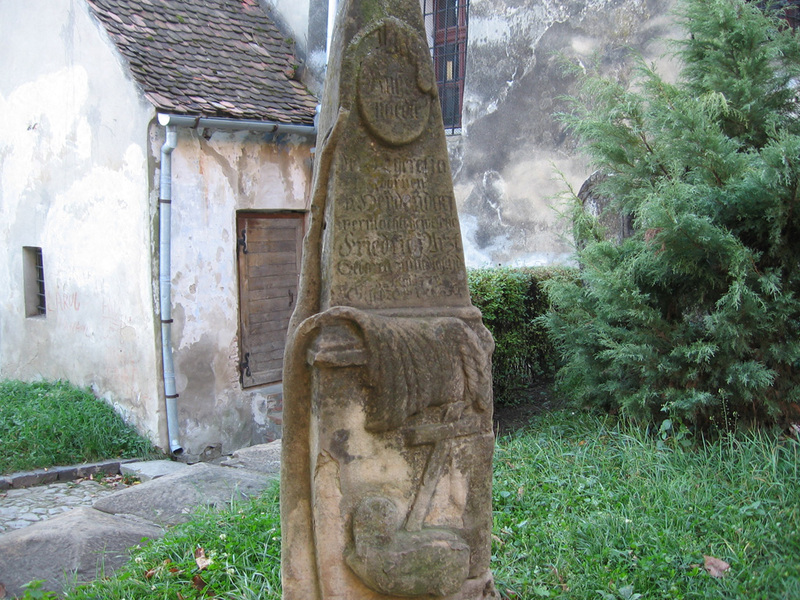 Sighișoara is the birthplace of Vlad Țepeș, aka Vlad the Impaler, aka Dracula; see my recent posts about Dracula’s childhood home and the bust of him nearby. Sighișoara is a beautiful medieval town, much of which is situated within a 12th-century citadel. More pics of that coming soon. 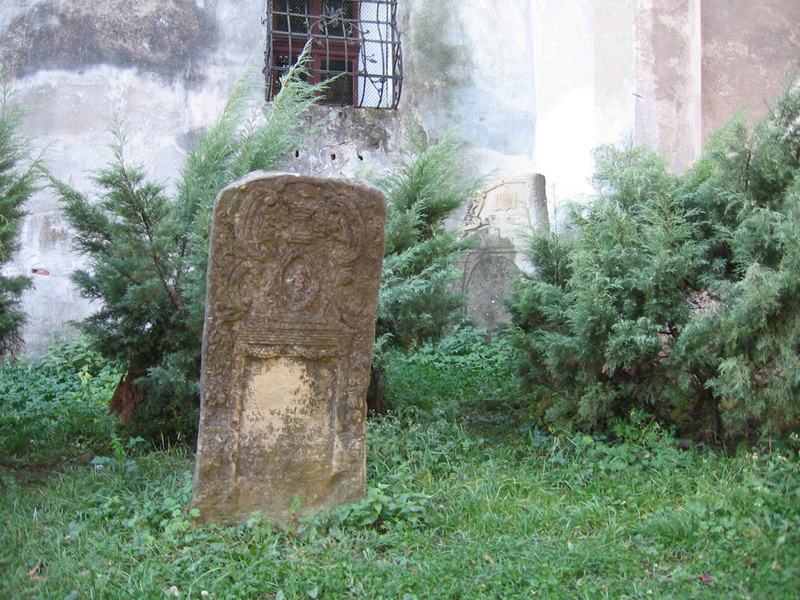 The first group of photos are tombstones that are scattered around town; I’m not sure if they’re left over from medieval cemeteries and people just built around them, or possibly they were moved there in more modern times. 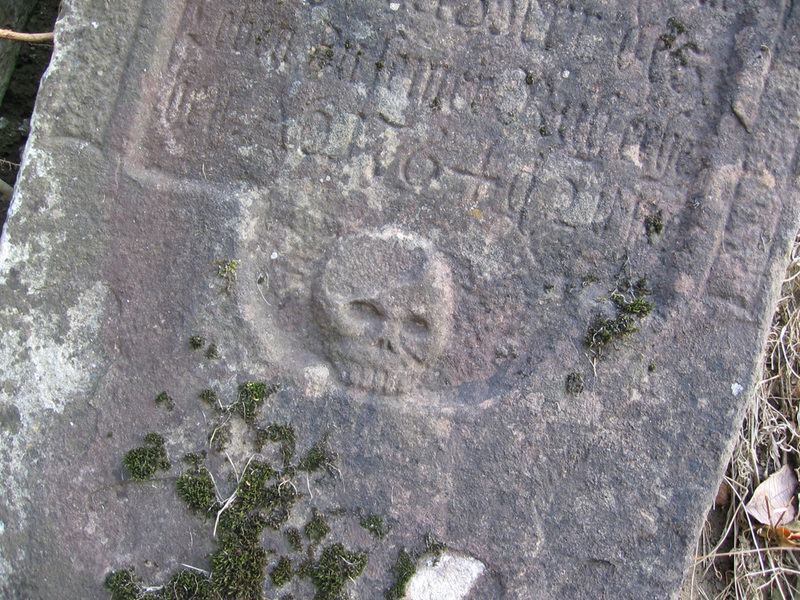 I still get a kick out of seeing a real skull and crossbones, every single time. 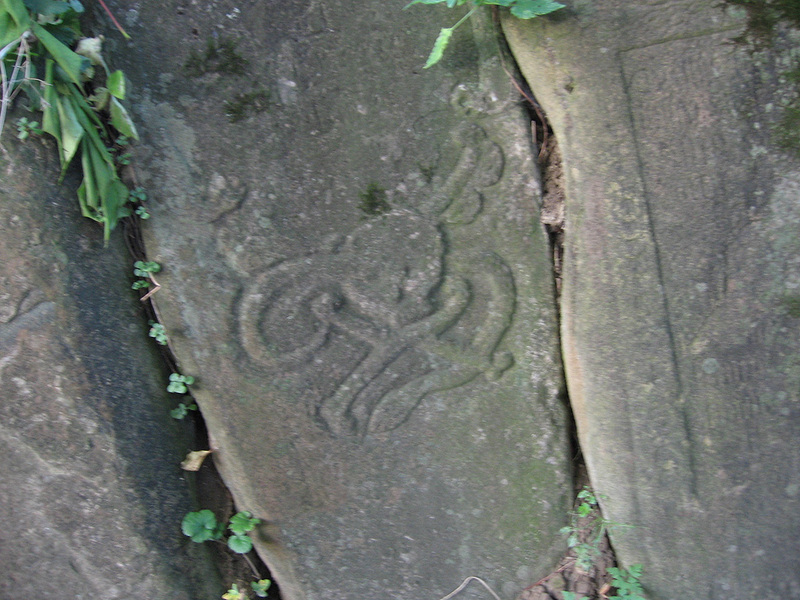 This next group of pics (below) is from an actual cemetery, called simply “the German cemetery” on a nearby sign. Sighișoara was a German city for a long time and is still called by its German name, “Schäßburg,” on some signs and maps. Most (or all?) 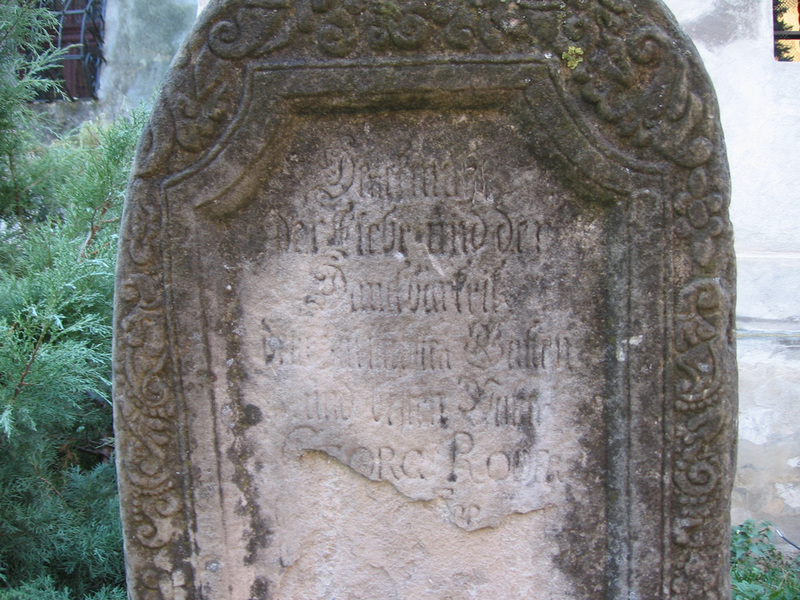 of the tombs I looked at closely in Sighișoara were written in German rather than Romanian. 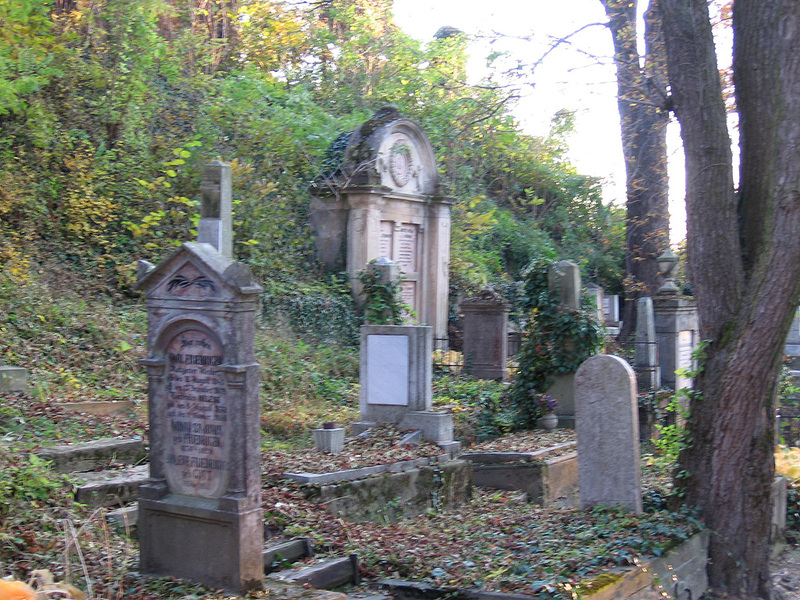 I love how they’ve used some of the older tombstones to shore up the terraced area of the more modern graves. 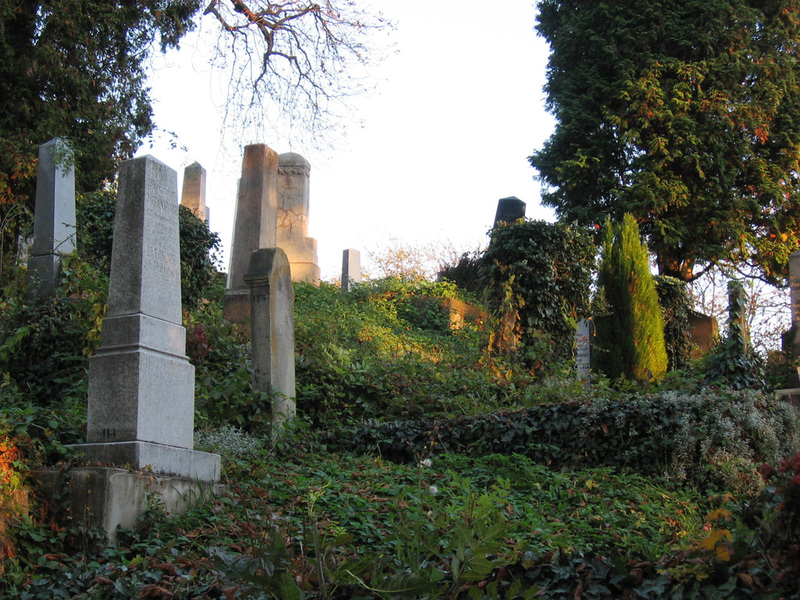 I can’t believe you didn’t post photos of the gravekeepers house, or his story. And about #6, You forgot the story about that tomb. Please do tell the story! We just came back from a Romanian odyssey and went to see all the Dracula sights. Snagov, Sighisoara, Bran, Peonari. Loved it all! So many pictures. 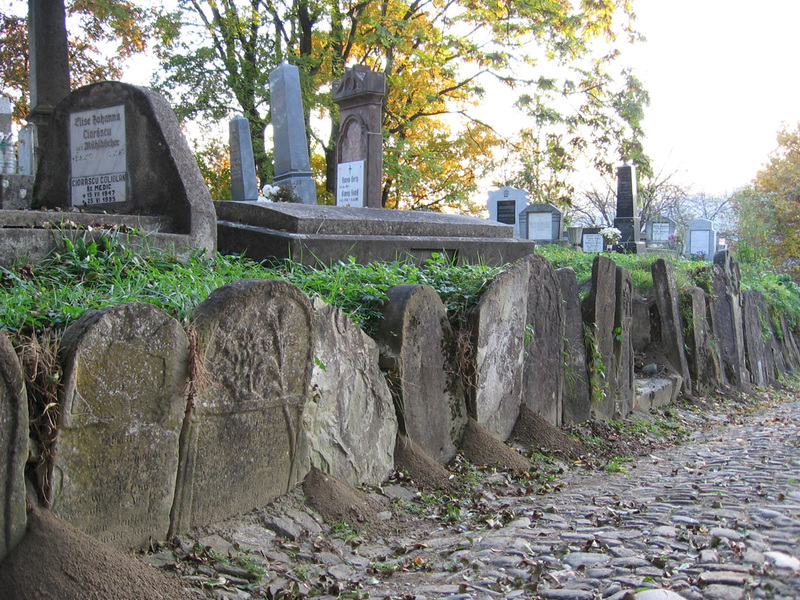 We love to do graveyard tourism (not the freaky kind), and were wondering where all the original graves are. 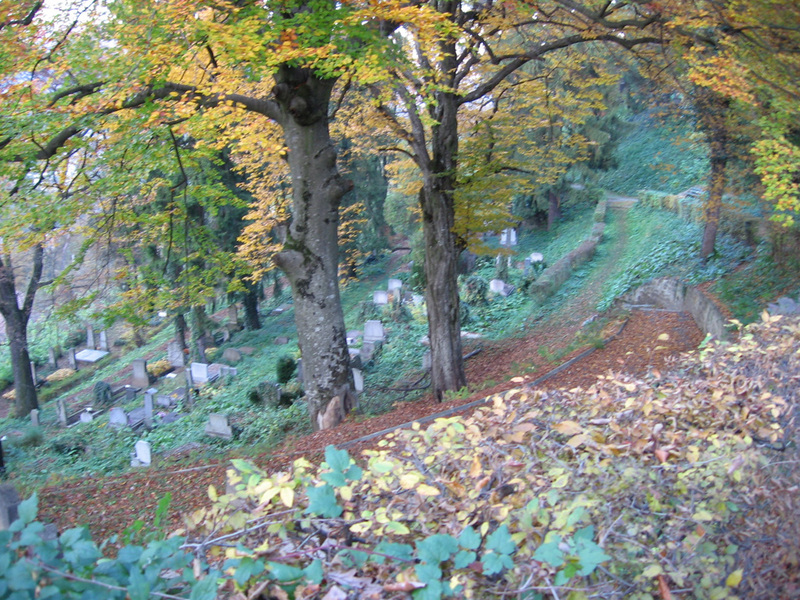 I mean, where are the graves from 14th century onwards? Or have they all been recycled/torn up/built over? 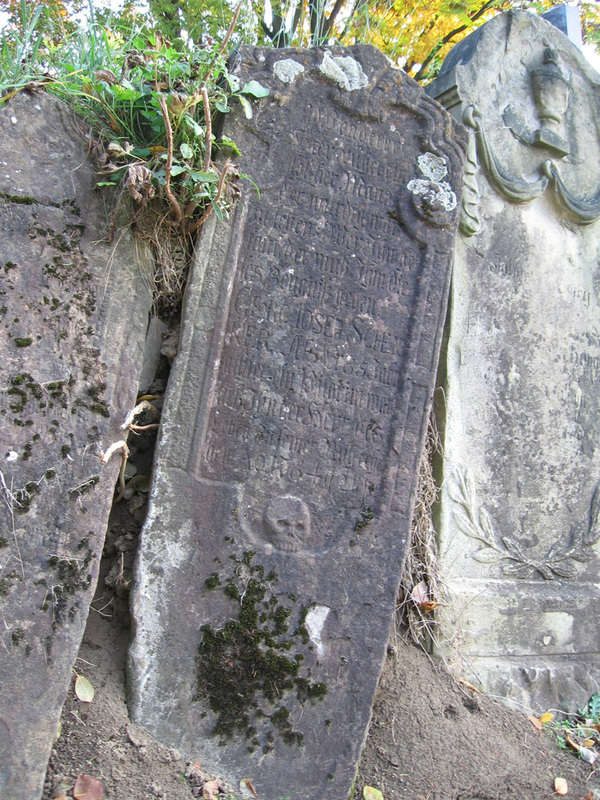 This graveyard was fascinating but hardly that old. And all Germans? Where are the Romanians? Hi! 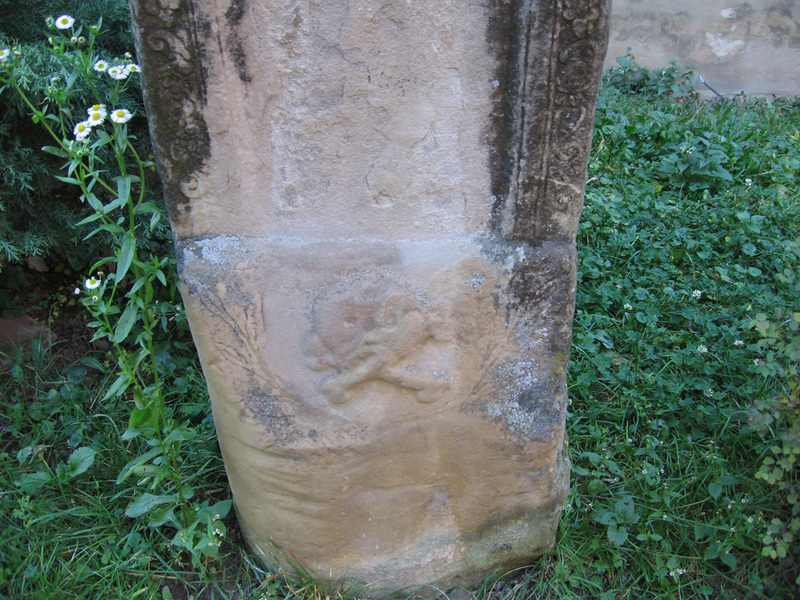 By any chance did you see a greystone with the names Emil Muler and Xaver Sumer? They fought in WWI. Cool pics!